Changing babies’ needs consideration as surfaces must be clean and hygienic bringing in the invention of easy hygiene changing tables. Make shift units to change you baby in the kitchen or the dining room table are covered in germs and are often in use. Hygienic baby tables free up space by giving an extra surface built for one purpose. Easy hygiene baby tables are UK manufactured, although there is an American version of the company, and they are located in West Yorkshire creating a variety of table options. An Easy Hygiene changing table has easily wiped clean surfaces ideal for their specific function. Owners will avoid toilet accidents caused while changing youngsters on a material surface. The surfaces of these tables are purposely designed for these types’ incidents leaving any mishaps as a worry free experience so parents can start fresh again. Sanitizing sprays can be purchased along with the tables which are baby friendly. Some are accompanied with additional storage space on the sides, underneath and some have draws. All the baby changing tools can be stored in one place with no need for disarray by searching around to get what you need. This allows the time spent leaving the baby unattended to be put down to a minimum with everything you need always at arms length. 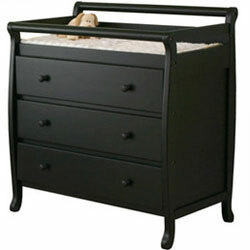 Easy hygiene changing table options are portable making baby changing easy anywhere in the house. Instead of bringing your baby to the table, the table comes to your baby. Lighter and smaller versions also make for good manoeuvrability. Guaranteed hygiene everywhere you go with portable versions. Easy Hygiene tables can easily fit into the boot of the car and are handy tools for picnics or visiting a friend’s house. The variety of Easy Hygienic baby tables makes finding the right table easy. Stainless steel options are out there as well as durable plastic versions. Thick plastic often becomes a home for germs and these units need special care and attention by making sure they are cleaned thoroughly, but they are very affordable. Higher end metal products are a little more pricey offering durability plus they have the advantage of being less attractive for germs. The tables can be picked up for as little as £149.99 depending on the type of unit you require. Other products can reach up to £700.00 for stainless steel versions. Visit the easy hygiene baby table’s website for more information and check out their sister company Direct baby changers to get a feel for price and quality. Overall looking for a durable table with all the functionalities you require poses an easy challenge. There is a vast quantity of options with different brand names to choose from as well as plenty of designs from colours, shapes, and sizes to begin your search with. Easy Hygiene changing table is a brilliant purpose made tool solving baby changing surface issues.